There’s something about fall that makes you want to bake. Cinnamon rolls, donuts, caramel apples, pumpkin pies, there are so many sweet treats associated with the season. We have put a lot of thought into how to handle all the desserts we want to have this fall. 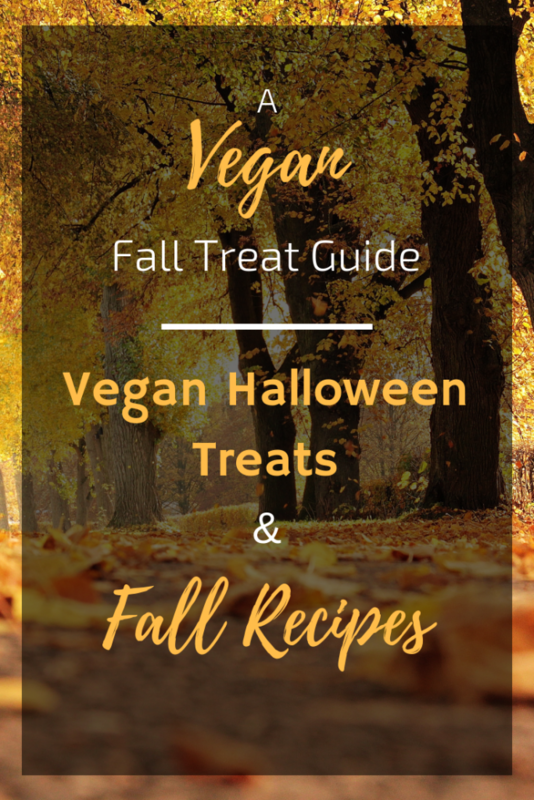 To make things easier for our fellow vegans, we have created a vegan fall treat guide! Halloween is coming up, and we have been thinking a lot about how to handle our first vegan Halloween. We don’t want our children to miss out on the fun of trick or treating, but we know most of the candy they will receive will not be vegan. We’ve been looking around for some vegan trunk or treats, but haven’t had much luck with that yet We also considered hosting our own, but the kids are still going to want to go trick or treating on Halloween night. We have heard of the “switch witch” method, which is where you switch the candy with toys instead. This is a decent option, but we know these kids are really going to want some candy. We want to make this transition to a vegan lifestyle as similar to our previous lifestyle as possible, so taking away their candy is not something we feel is right for our family. I think the best way for our family to handle this situation is to swap the candy out with vegan candy. Luckily there are plenty of vegan options out there now! We did our research, and compiled a list of the best Halloween vegan candy we could find. There’s plenty of candy that is already naturally vegan! If any of these are in our trick or treat bags, we will leave them in there. Seems most of the non-chocolate treats are already vegan! If you’re looking for the chocolate treats, we’ve got you covered! Fear Not Spook Free Treats are free of any animal products! These vegan chocolates are a little pricey, but they make a great substitute for non vegan chocolate like Reese, Hershey, and Snickers. They are free of dairy, soy, egg, nuts, and gluten. We also found Dandies Vegan Marshmallows. They have great reviews and would be perfect for making Smores! If you like candy corn, Yum Earth organic candy corn is the perfect option. Brach’s candy corn is unfortunately not vegan because it contains gelatin, and Jelly Belly’s candy corn is coated in beeswax. Most caramel is not vegan, because it is made with butter. But we did find Cocomels coconut milk caramels that are vegan, gluten free and non-GMO. If you’re wanting to make caramel apples, Hey Boo coconut caramel sauce would be a great choice. You could also use the caramel sauce for other fall recipes. Speaking of fall recipes, Pinterest is loaded with some awesome vegan snacks and dessert recipes! We did you a favor and gathered all of our favorites! Happy Healthy mama made these mouth watering apple pie bars that you have to try! My mom makes bars very similar to these, but they aren’t vegan. I’m so excited to find an alternative! We made these last year for a fall festival, they were a hit! We actually made donuts holes instead, it worked perfectly fine. They turned out so soft and delicious! We will definitely be making these again this year! we are HUGE fans of Minimalist Baker recipes! These pumpkin cinnamon rolls are exactly what we need this fall! 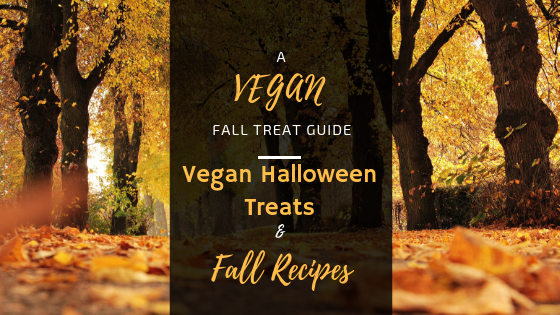 We hope our vegan fall treat guide will be helpful to everyone, but especially those who are just starting out on a vegan lifestyle. Happy fall!